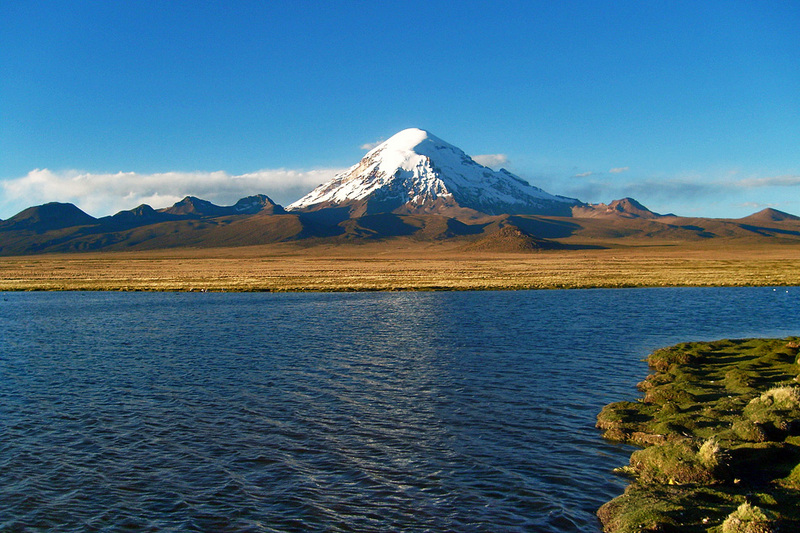 You are sure to be fascinated by its imposing, solitary figure from the first moment you see the colossal Sajama Volcano. 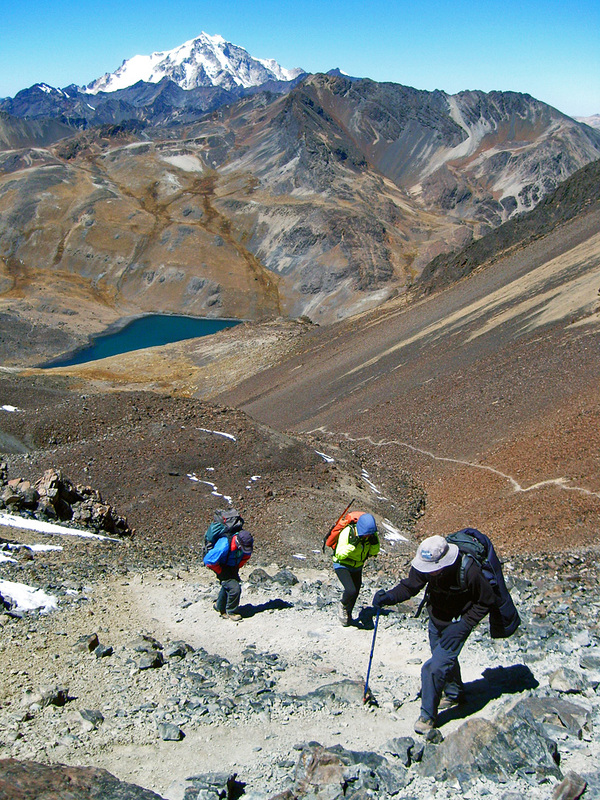 And you will be most likely be equally in awe on seeing the perfect volcanic cone of Parinacota and the colourful figure of Acotango. First of all we, the Azimut Explorer staff and you, will tackle the testing route to the summit of Acotango walking on lava flows and pinnacled glacier. 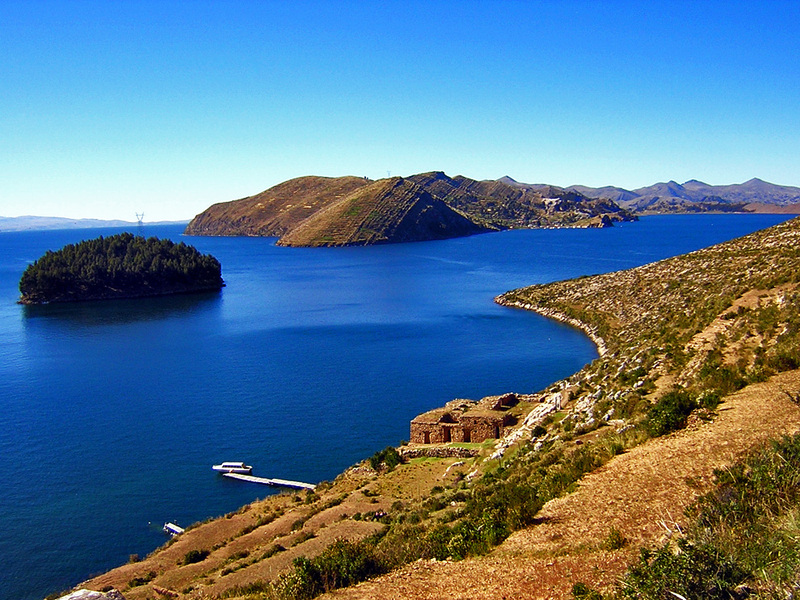 Magical 360 degree views from Acotango. 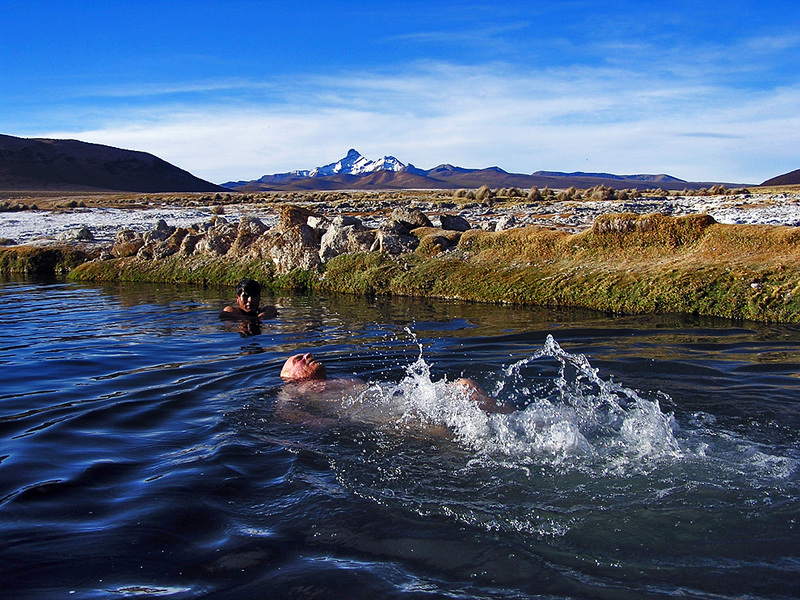 Before attempting them we will acclimatize beside the stunning Lake Titikaka and hike on Sun Island, with its Inca temples and pathways. 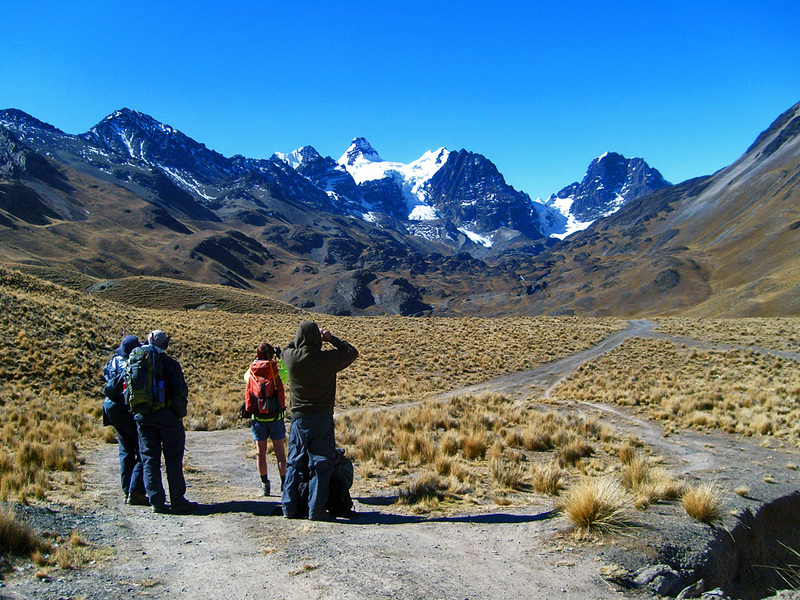 We will test our acclimatization by hiking near the sharp peaks of the Condoriri National Park. DAY 2: DRIVE TO COPACABANA & LAKE TITIKAKA. A series of cultural highlights to visit en route. By boat we will get to the Sun Island to find unique traditions and folklore. Lodge. 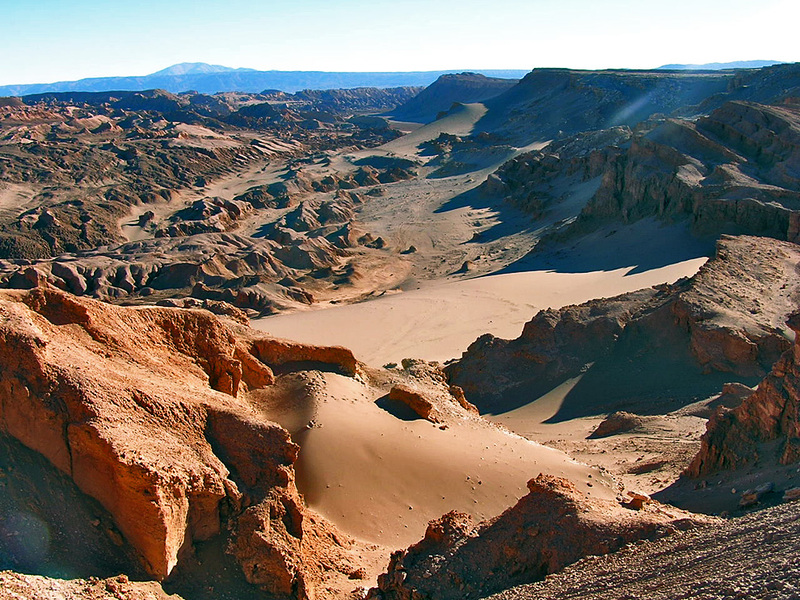 Day 4: DISCOVER COPACABANA & TO WAÑAKOTA LAGOON. Visit indigenous markets, streets, viewpoints and the church of Copacabana. Car transfer to Wañakota near the snowy peaks of the Condoriri massif. Refuge. DAY 5: TO THE COL OF APACHETA PEAK & RETURN TO LA PAZ. Full day hike around glaciers and moraines. Car transfer to La Paz. Hotel. DAY 6: TO SAJAMA. Car transfer. Visit of Pre-Inca remains, hike in lava flow canyons. Lodge. 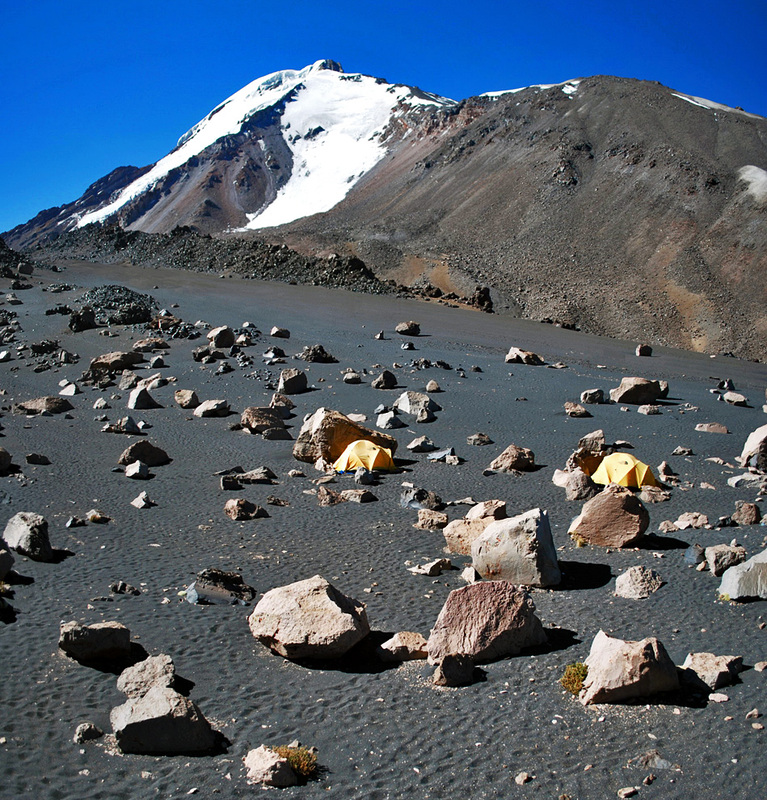 DAY 7: TO HIGH CAMP OF ACOTANGO. Car transfer and camp. DAY 8: CLIMB ACOTANGO. 6033 m /19794 ft high. North east ridge route. Difficulty grade: FR: F/USA: AI 1/SCOT: I. 6 hour climb. 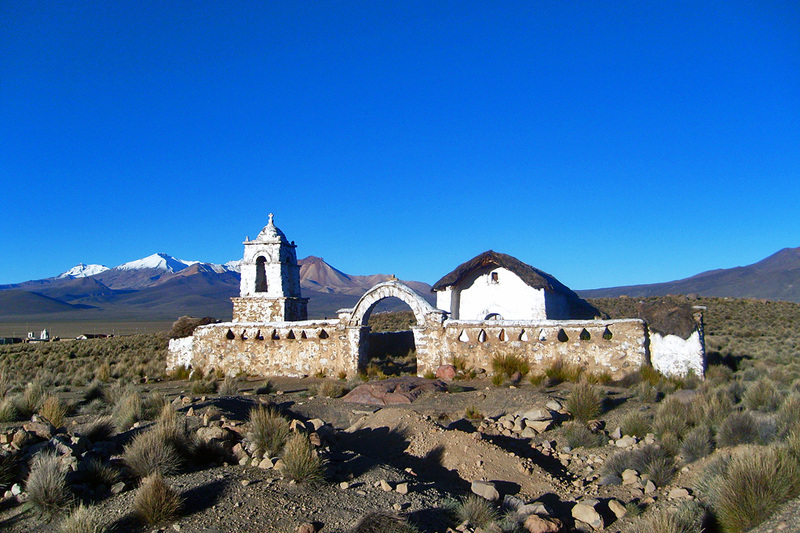 Move down to the village of Sajama. DAY 9: LEISURELY DAY IN SAJAMA. Hot spring swimming available and geysers. DAY 10: TO SAJAMA BASE CAMP. Trek and camp. DAY 11: TO SAJAMA HIGH CAMP. Trek and camp. 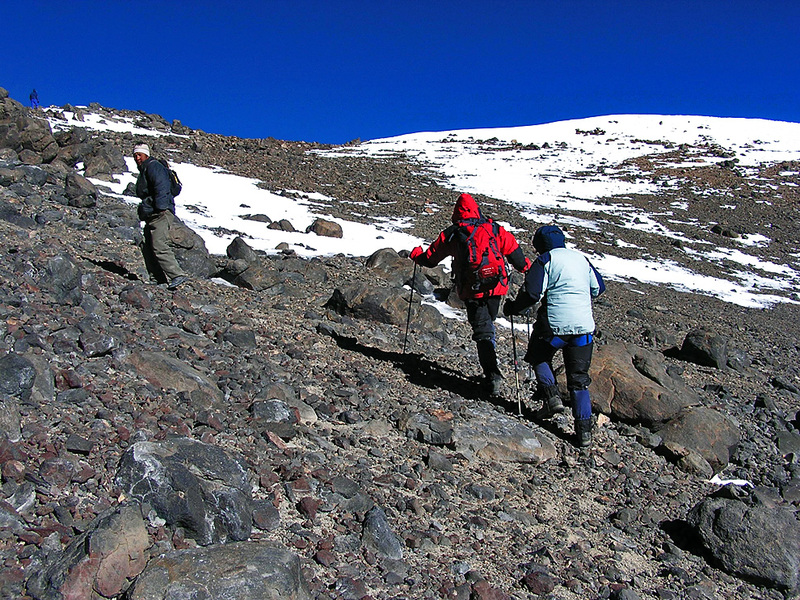 DAY 12: CLIMB SAJAMA. 6542 m /21464 ft high. Northwest normal route. Difficulty grade: FR: AD/USA: AI 2/SCOT: III-. 7 hour climb. Move down to base camp. DAY 13: RETURN TO SAJAMA VILLAGE. Trek. Lodge. DAY 14: PARINACOTA HIGH CAMP. Car transfer and approach hike to high camp. DAY 15: CLIMB PARINACOTA. 6330 m /20768 ft high. Normal route. Difficulty grade: FR: F/USA: AI 1/SCOT: I. 7 hour climb. 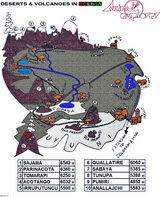 Move down to Sajama Village and Tomarapi. 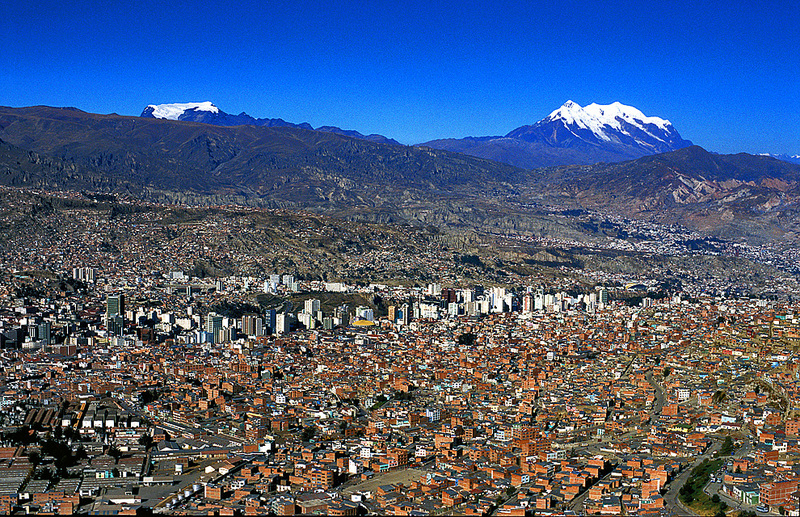 DAY 16: RETURN TO LA PAZ. DAY 18: DEPART LA PAZ. Transfer to airport. End of our package service. BRING: anorak, sleeping bag, polar jacket, down jacket, thermal underwear, mountain glasses, head torch, sun block, sun hat, mountain gloves and technical climbing equipment.